Vector graphics of vertical rectangles with Christmas decorations. Winter holidays festive templates in different traditional colors. Banner and bookmark templates decorated with gift boxes with shiny ribbons, silhouettes of flowers, splatter patterns and snowflakes. Free vectors for all Christmas and celebration projects. 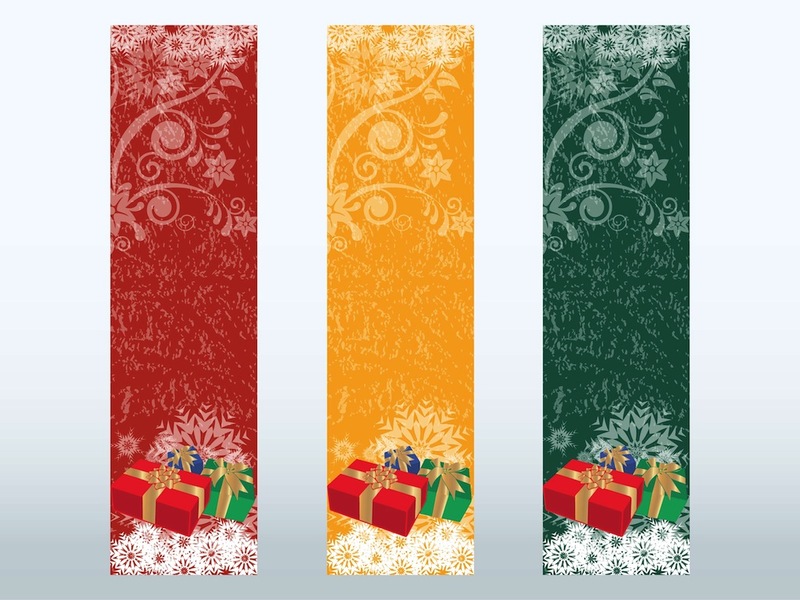 Beautiful decorative Christmas banners in red, yellow and green color variations. Tags: Banners, Cards, Festive, Grunge, Presents, Snow, Splatter, Wishes, Wishing.